EFT Tapping or Emotional Freedom Technique can help repattern emotions and improve health by stimulation of meridian points. Mind-body therapy to reduce stress and improve health with Lezlie Cebulski, ND, EFT, RMT. We all know that excessive stress is bad for our health. But, what is “stress” anyway? Is it always an experience beyond our control, or do we play a role in it? Key concepts in the field of energy psychology explain how we interact with others based on our unique emotional biochemistry, thought habits & expectations. Emotions produce specific chemicals in our body (neuropeptides)which saturate our cells. Over time, we can become “addicted” to certain emotions (whether they are pleasant or unpleasant). We then, unconsciously, set our lives up so that we experience these emotions and the relationships that produce these emotions throughout our lifetime. When you feel happy, your body will produce ‘happy’ neuropeptide equivalents such as joy has a joy neuropeptide. Feel angry, it will produce ‘angry’ neuropeptide equivalents. Your psychology, via neuropeptides, literally becomes your biology. Once neuropeptides are produced, these messenger substances flood the body with information. This information influences the way your body works! Your body then feeds back to the mind, affecting how you feel and even what you think. We cannot see a thought, but we can see the resulting chemistry. Neuropeptides are produced in response to emotions, but also to food, the way we breathe, and even how we move and hold our bodies. Any disease process or physical body imbalance will interfere with the production and flow of neuropeptides (emotions) around the body. Note: Harvard University’s 10-year study found that stimulation of meridians calms the nervous system. How Do We Stop the Negative Thoughts? We stop the negative emotions by using Emotional Freedom Technique (EFT). Because our physical pains and diseases are connected with our emotions and our energy flow, our unresolved negative emotions are major contributors to most physical pains and diseases. If untreated, an energy disruption can deepen into a chronic blockage that prevents healing and balancing energy from flowing. This can lead to emotional and physical imbalances. Lezlie Cebulski, ND, EFT, RMT is an EFT Tapping practitioner who specializes in mind-body therapies as a Naturopath, EFT Tapping and Reiki Master practitioner who has a B.A. in Psychology. She is an experienced EFT Tapping practitioner and can help you re-pattern emotions and behaviors with mind-body therapies. 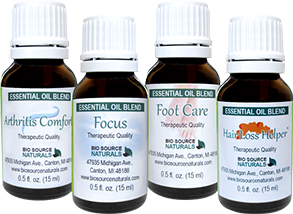 In EFT, she combines her expertise in muscle testing and aromatherapy for fast, lasting results. Many patients and some doctors are now using EFT to heal physical illness. EFT rids the body of negative emotional energy & allows it to heal! Tapping on the emotional acupressure points, releases stagnant energy. Clients report feeling lighter, energy movement inside, and peaceful sensations. Often, we do not realize the energetic burdens we carry until they are released. Other emotional energy healing modalities also used when appropriate: TAT (Tapas Acupressure Technique), Meridian Tapping Technique, Energy Rebalancing & the Emotion Code.